Seymour Segnit was born in London, England. After education at Westminster School – in the shadow of Westminster Abbey and Britain’s Houses of Parliament – then at Oxford University, he worked in advertising and broadcasting, before co-founding a venture-funded technology company in Silicon Valley, California. He quickly discovered that the ‘technology’ of the human mind and body is far more powerful, and became a student, then a respected teacher of Neuro-Associative Conditioning, Neuro-Linguistic Programming (NLP), Time Line Therapy® and The New Biology under Anthony Robbins, Michael Bennet , Dr. Tad James and Dr. Robert Young, amongst others. Committed to the field of human excellence in 2002 Seymour founded CTRN: Change That’s Right Now to bring together the best technologies in the field, then make them widely and affordably available. 2003 saw the release of the Vanquish Fear and Anxiety program making CTRN’s fast-change technology far more widely available. 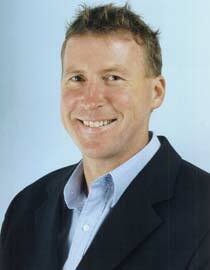 Peter Leonard has been with CTRN since 2003 and our most Senior VIP Program Practitioner since 2005. A Certified Trainer of Neuro Linguistic Programming (“NLP”), Hypnosis & Hypnotherapy , and Time Line Therapy®, and is a recognized master of accelerated behavioral change. He was personally trained and certified in these advanced techniques by Dr Tad James one of the most recognized leaders in the field and co-developer of Time Line Therapy® techniques. Peter is a certified Trainer and is a certified Institute with & by the American Board of Neuro Linguistic Programming, American Board of Hypnotherapy, and the Time Line Therapy™ Association. He is deeply involved in personal success coaching, working on the happiness, productivity, and the performance of people from all walks of life. 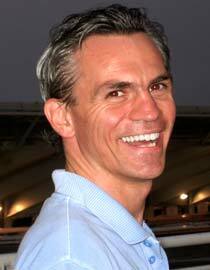 Peter is a trained leader working in the field of Accelerated Human Change, helping people achieve their dreams. He teaches NLP Practitioner Certification, Master Practitioner Certification, and Time Line Therapy®, and other personal deveopment certification trainings. Peter has a ‘relentless’ attitude towards CTRN’s client’s success and has a ‘whatever it takes’ attitude that makes this happen. He offers continuing support and service to all CTRN VIP clients..
Nannette DiMascio has been fascinated by the workings of the mind since age nine. After finding that her advanced degree in Psychology offered plenty theory and statistics, but few tools for transformation, she researched and studied NLP (Neuro Linguistic Programming). Applying the principles to her own life she found dramatic improvements in her relationships with others and herself, but unexpectedly in her health too. Ms. DiMascio trains audiences on how to overcome fear (including how to get over the fear of public speaking!). 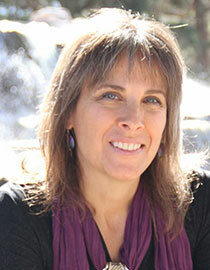 She also teaches courses at UNLV (The University of Nevada, Las Vegas) on presentation skills and negotiation mastery. In addition to her work with individuals to help them overcome fears and phobias and mastery of their emotions Nannette works with businesses in transformation by helping team members deal with the emotional turmoil that accompanies change so they may grow with the company. She is a prolific writer, she has published over 90 articles with two books published including "The User’s Guide to Transformation." Ms. DiMascio is dedicated to helping clients eliminate the blocks that prevent our natural and balanced state of being. 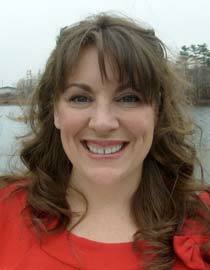 Shelley is CTRN’s Practitioner Assistant and has been with CTRN since 2003. Her main responsibility is to speak with new clients and help to assess their level of anxiety and determine whether The VIP One-on-One Program or home study Vanquish Fear and Anxiety program best fits the needs of each individual. Originally trained in ‘old fashioned’ behavior modification she is thrilled with the methodologies of NLP and TLT as she sees one success case after another. Deeply committed to helping others and the community whether or not she is at work Shelley spends many hours in voluntary community service. Arriving at CTRN her first task was to learn our home study program Vanquish Fear and Anxiety. Although her intention had simply been to familiarize herself with the program to help customers, she found she had also conquered two fears that held her back from enjoying the outdoors. Her fear of ants and minnows is now totally gone and to her amazement it took only 3 hours to conquer these once and for all! Shelley’s greatest quality is her empathy. We’re proud of how comfortable people feel discussing their problems with Shelley. If you need the kind of help we offer, please give her a call today.